Our Flare mug (#3 in popularity in 2014) has a nice thinner lip and a pleasant oversized handle. We agree with customers when they tell us that it really has a great overall design! This color combination, Chocolate w/Cinnamon White, was ideal for Chocolat, a unique French truffle maker in Brooklyn. 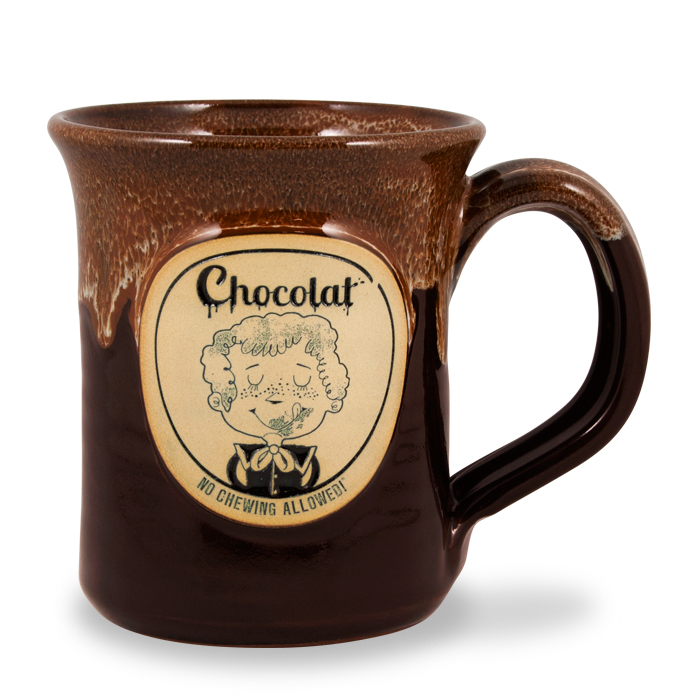 Glaze: Chocolate w/Cinnamon White Industry: Food Service (We work with many different industries) Capacity: 10 oz.